Diet plays a critical role in the management of diabetes. If you have been diagnosed with prediabetes or Type 2 diabetes, switching to a healthy eating plan can make a huge difference in the progression of your symptoms. Some individuals may even be able to control or reverse their diabetes by adopting better eating habits and incorporating diabetic friendly dinner recipes for their meals. The American Diabetes Association recommends a diet that is low in carbohydrates, calories, and fats, and rich in fiber, lean protein, and vegetables as the best way to manage diabetes. These diet recommendations address several key diabetes concerns by stabilizing your blood sugar (glucose) levels, managing your weight, and controlling the main risk factors for heart disease. If you’re looking for dinners that will help manage your diabetes, these five diabetic friendly dinner recipes make it easy to start! If you’re looking for easy low carb diabetic recipes, this tasty meal certainly fits the bill! It takes less than 15 minutes to cook, has just 7 carbs per serving, and a healthy dose of spinach keeps calories low at just 170 calories. It only uses a single skillet so even clean-up is an easy breeze! Whole grain foods that are high in fiber are recommended for diabetics because they are digested slowly, which helps to keep blood glucose levels steady. Quinoa contains more fiber than many other grains and a glycemic index score of 53, making it the ideal meal choice for diabetics. This scrumptious meal is a diabetic-friendly version of shrimp scampi that demonstrates that dinner recipes for diabetes can be as delicious as they are healthy. Using spaghetti squash increases the nutritional value while eliminating carbs – cooked spaghetti squash has just 10 grams of carbohydrates per cup. Lemon adds a unique zest to the healthy snow peas, carrots, and scallions that flavor this delicious low-carb stir-fry. Serve over brown rice or rice noodles to complete the meal. The American Diabetes Association recommends eating fish, especially fatty fish, as your protein source at least two times a week. 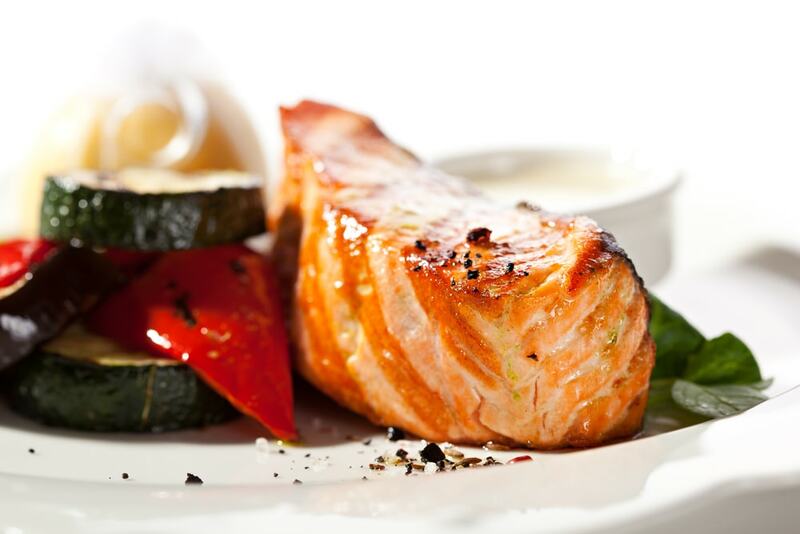 Salmon is a protein-rich nutrient powerhouse that is packed full of heart-healthy omega-3 fatty acids, which may decrease triglyceride levels. If you’re passionate about pasta, you’ll love this diabetic-friendly version that uses healthy zucchini for the base! Serve with your favorite sauce for a yummy, low carb dinner. As you can see, you can easily manage your diabetes while still enjoying flavorful, tasty meals that tempt your tastebuds. If you are looking for more easy, low carb recipes that are diabetic friendly and delicious, visit www.BetterHealthKare.com. You’ll find tons of helpful information for diabetics and anyone interested in enjoying a healthy lifestyle, including healthy snacks and recipes for diabetes, tips on ways to manage diabetes through diet and exercise, and other advice on healthy living.